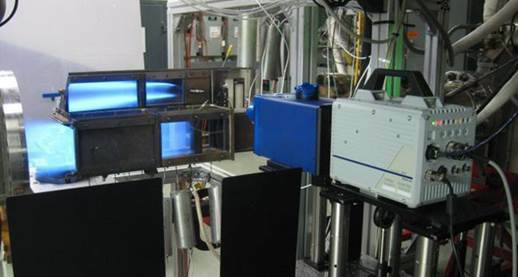 Spectral Energies, LLC has extensive experience in assembling fully operational, test-cell-worthy, high-speed planar laser-induced fluorescence (PLIF) and particle-image velocimetry (PIV) systems. The customer need only provide the test article, and SE can deliver the entire PLIF/PIV system, including lasers, cameras, breadboards, software, electronics, and optics. Initial measurements and training can be included in system delivery for a nominal fee. Because SE has expertise in reacting flows and combustion diagnostics, we can customize the diagnostic system to target specific molecules of interest, to detect multiple species, and/or for simultaneous measurements of species and velocity. We can also provide advice on your specific measurement challenges in high-speed, reacting, and multiphase flows. Contact us to inquire about customizing your specific application.